While researching PCOS I’m constantly coming across articles about essential oils. Essential oils have been around forever! This time though- instead of turning to Google for answers I reached out to a friend of mine, Bre Hamideh, who is an oil junkie- lol. I’ve known Bre for almost six years now! I’ve been following her Facebook page and have seen how she uses oils for cleaning the house, treating sick kids, making air fresheners, calming kids to sleep- you name it! Bre does not have PCOS, but does understand crazy hormones- lol. Here are her ‘go-to’ oils for hormone regulation. Me: Why did you choose Young Living Essential Oils over the others? The Essential Oil Company I use is Young Living Essential Oils. I am a research junky!! I have to research everything before I take the plunge, so that is exactly what I did. Not only are they the oldest company out there, they have a “Seed to Seal Guarantee” which pretty much means, they only accept the best and do first distillation. This is something I really researched, I wanted the best for my family. They are also the only company I know that has their own farms and distilleries, so they are not letting a third party company control the quality of their oils. You can even visit their farms all over the world. I have been in the health and fitness field for 12 years and when I came across these oils, I knew I would never go back. Me: What Essential Oils do you recommend for PCOS or Hormone Regulation? This blend smells amazing, with a mix of Geranium, orange, Clary Sage, bergamot, Ylang Ylang, sandalwood, Jasmine and a few others, she is now my new perfume! This oil is rich in phytoestrogens, aka- diverse group of naturally occurring non-steroidal plant compounds that have the ability to cause estrogenic or anti-estrogenic effects by sitting in and blocking receptor sites against estrogen! It is used to improve mood and help with estrogen levels. It’s all natural, in fact it’s made with super-micronized progesterone from wild yam! I would like to share a little story about myself, once upon a time I had no libido, my monthly cycles were completely thrown off, I was also an evil hulk mom probably two weeks out of the month. Not to mention that I couldn’t leave my house three days of my cycle because I was now on the Paraguard (copper iud). Long behold…. this little gem came into my life!! Not even 30 days using it, my monthly issues were cut 50%!! Another 30 days and I was a different woman (ask my husband)! If you use the Paraguard you know how hard and painful in can be, this beautiful bottle has changed my life completely!! It also smells amazing! I dab it on my wrists and behind my ears every morning! It is made with a blend of Copaiba, Sacred Frankincense, Cedarwood, Bergamot, Peppermint, Clove, and the wild yam extract. So to sum it up, this blend will help support your body’s natural progesterone production, support’s hormone levels, and helps keep them balanced, and lastly, helps boost libido. 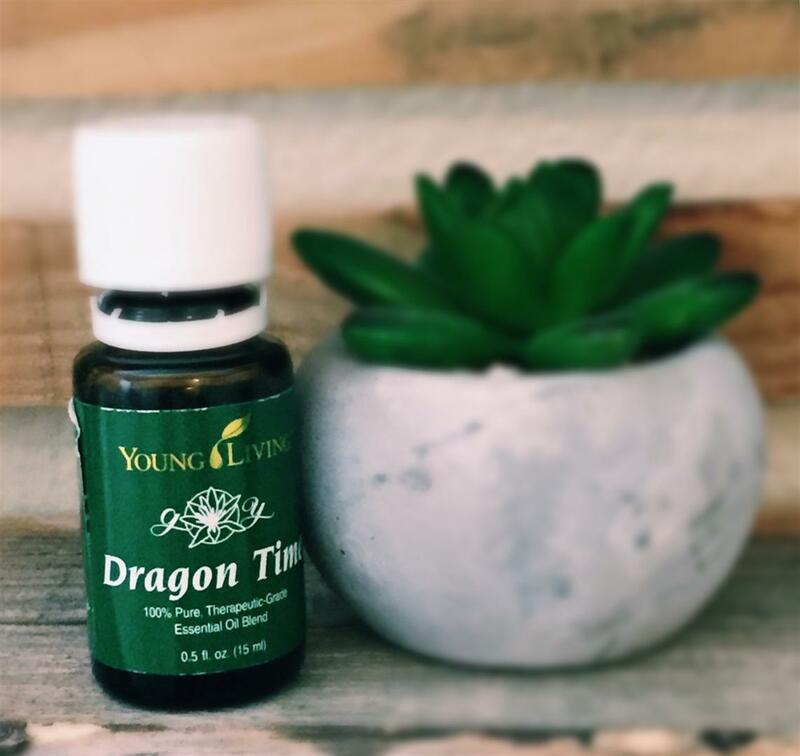 It basically says it in the name, when you’re feeling like a dragon, this is the oil! Its is a blend of Fennel, Lavender, Clary Sage, Marjoram, Blue Yarrow, and Jasmine. It helps relieves PMS Symptoms and helps balance emotions. I will mix a drop or two with coconut oil and rub on my lower abdomen or lower back when I start to get the achy feelings, as well as dabbing a drop on my inner ankles which is a vita flex point to the female reproductive system. Also the area from your wrist to your elbow on your inner left arm in called your “hormonal line” this is a great spot to rub the oils when in need. 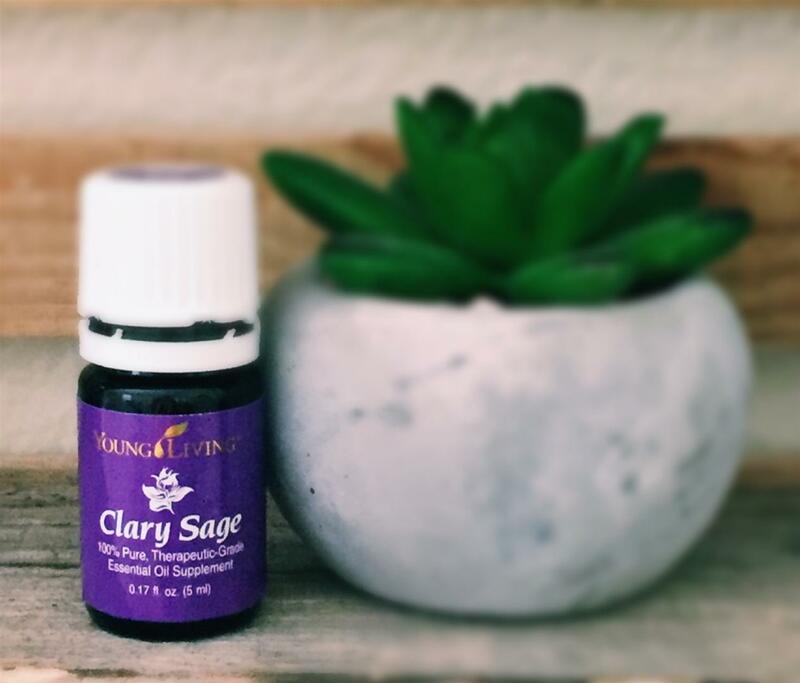 This blend can help amplify your metabolism and vitality, as well and help create hormonal balance, It has a blend of Spearmint, Sage, Geranium, Myrtle, German Chamomile, and Nutmeg. You can diffuse or apply to lower back, thyroid, kidneys, liver, feet, glandular areas, and foot vita flex points for these organs. My favorite way to use this oil is by putting a drop in my glass of water swirl it around and drink it throughout the day, really takes the edge off. On a side note, I only ingest oils that are labeled dietary and are 100% pure therapeutic grade essential oils. 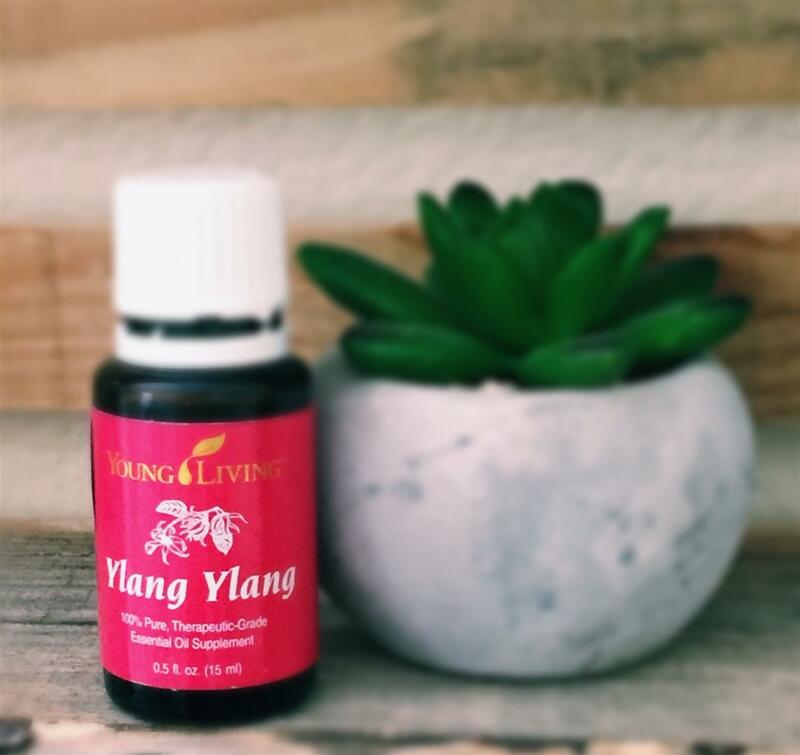 Ylang Ylang means “Flower of Flowers” The Flowers have been used to cover the beds of newlywed couples on their wedding night for centuries. I can see why!!! 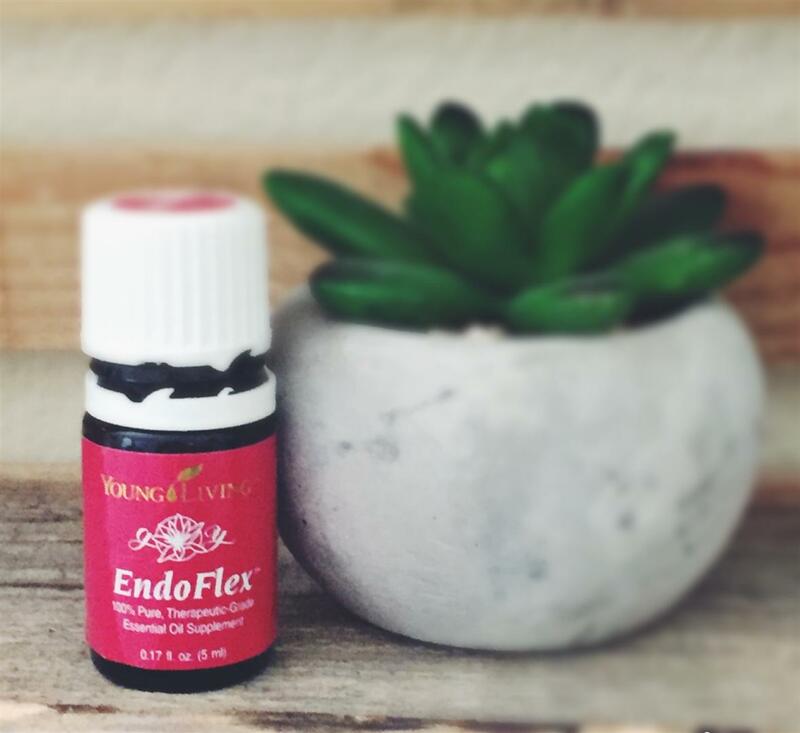 My Favorite go to oil whenever I need a little help to “get in the mood” just a little dab on my wrists and my inner thighs and I’m a new woman!! This oil helps balance male-female energies, can help combat anger, help filter out negative energy, and restore confidence and peace. Also- use sparingly if you have low blood pressure. Last but not least!!! 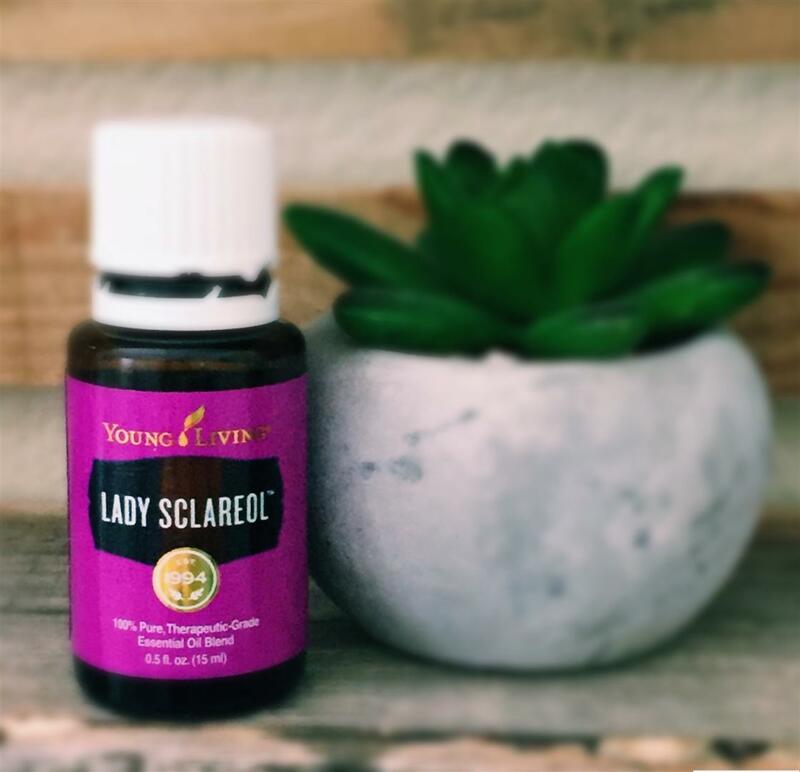 This oil helps with PMS Symptoms and discomforts, hormonal imbalance and restless sleep. Diffusing in the air can actually enhance one’s ability to dream and is a very calming oil. 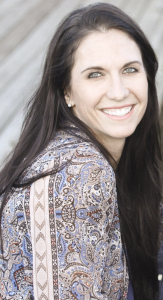 From PCOS Girl: I encourage you to ask about and research oils too! I bet you have at least one friend or acquaintance that sells oils- don’t be afraid to ask them questions! Yes, they might want to sell you the oils- but they also are filled with knowledge. Just let them know up front that you just want to research and learn more. Essential oils can also be found at health food stores! This entry was posted in PCOS, PCOS Symptoms & Meds and tagged essential oils. ← Iodine: The Cause and The Cure for PCOS? 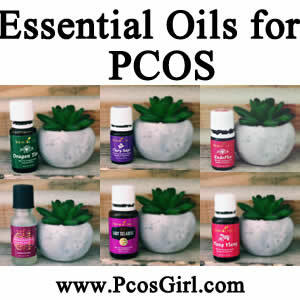 Which of these oils/blends are specific to PCOS? Hi Madeline! The ones listed on this page are all good for PCOS! They with different aspects of the PCOS like progesterone regulation (helpful for infertility), moods, hormone balance, and phytoestrogens. Do you have any information in regards to being on IUD with the Progessence Plus and it causing unwanted pregnancy? I want to us the Progessence so badly but am nervous because I do not want to cause the contraceptive to not work! I don’t! I’ll have to look into it! Did you start one at a time? Which one did you use first, or that you felt were the most impacting on your symptoms? Thanks for the great info!! I have severe allergies, so I always try things one at a time- lol!!! 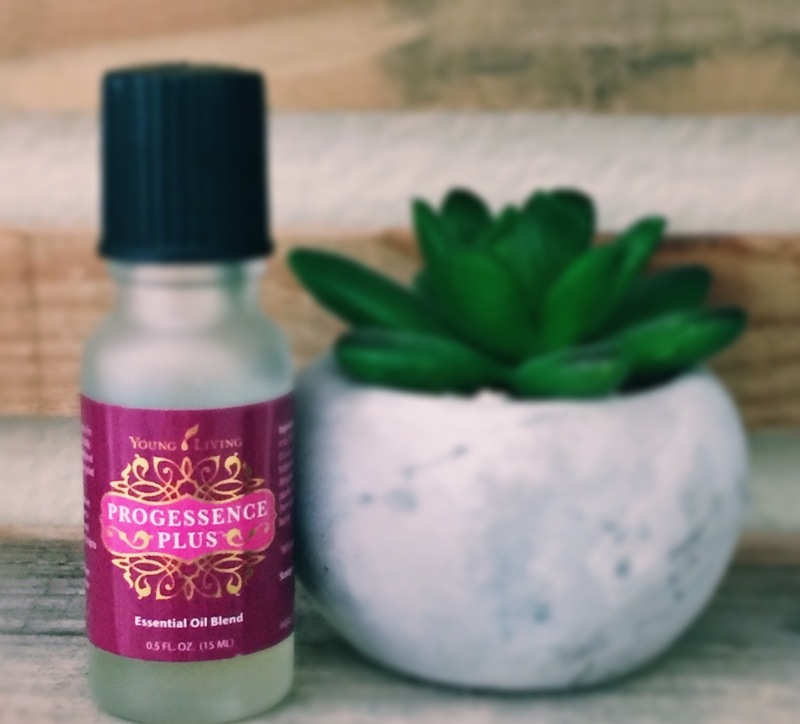 Progessence is a good one- since I am always low on progesterone! My 15 year old has been diagnosed with pcos what blend would you recommend for her? Depends on what symptoms she has. What symptoms is she suffering from? Glad you were able to diagnose her so early!!! She’s lucky. Hope- you have the same symptoms I’ve always struggled with!! I’m thinking Progessence – but I’ll see if there is an oil pro who has a better mix. How do you use the Progessence? Would you use these oils for a girl 11 starting puberty? Hi! I have few essential oils from YoungLiving and I want to use them for PCOS. I’m trying to have a baby. Which one do you recommend for me? I not have a regular periods, weight gain and acnee. I’m looking for something to help me to get pregnant. Oils can be found at health food stores but are usually sold with fillers and preservatives in them making them less than pure in quality. The results you will receive will vary when you do not use the purest oils. I would never vary from using Young Living after doing my research! Hi which one can be a fertility booster? I want to get pregnant.